Today, BuzzFeed posted a Vine--a short, looped video made with the app of the same name--of a pet sugar glider clutching a cracker of some sort, gazing up at the camera with its giant, onyx eyes, and being scratched affectionately by its owner. The video is hashtagged #cute and #sugargliderdontcare. But we care, because it is irresponsible to either own or promote the owning of sugar gliders. Sugar gliders are Australian possums, small marsupials that are not closely related to our own North American Virginia opossum. The "glider" name comes from the web of skin that stretches between the sugar glider's limbs, allowing the sugar glider to escape from predators by gliding through the air like a paper airplane to get from tree to tree. 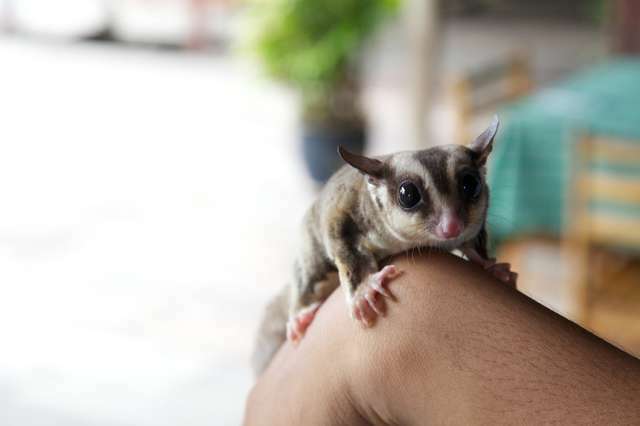 Sugar gliders are popular exotic pets in the U.S., though keeping captive sugar gliders has been banned in most of Australia. They're typically bred in captivity for the pet trade, as the wild population is closely monitored, by breeders like this one. That breeder boasts of its USDA badge of approval, but it's unethical to own a pet sugar glider, no matter where it's from. Here's why. Sugar gliders are not domesticated. Domestication is a genetic process that happens over generations upon generations; you can read more about that here. But sugar gliders are simply cute furry small animals that happen to not be particularly violent to humans. That doesn't mean they're affectionate, and it doesn't mean they like the attention of humans, the way cats and dogs do. Many owners aren't prepared for the needs of an exotic pet. You can't feed a sugar glider pet food; because it has not genetically changed from the wild sugar glider, it needs to eat the same thing it would eat in the wild, which is eucalyptus sap and insects. That cracker that the sugar glider in the BuzzFeed video is eating? We'd wager it's made of neither of those things. 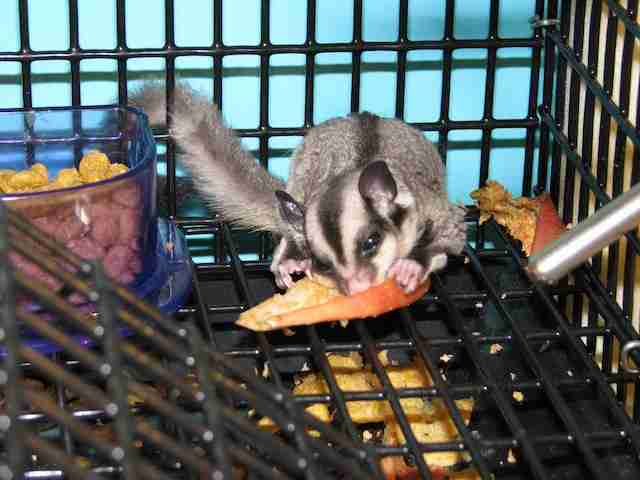 Pet sugar gliders have a tendency to become obese or develop other illnesses when not fed properly. Sugar gliders are nocturnal, hence those big adorable eyes, which is not the sleep schedule most people want in a pet. That can lead to the sugar glider being woken up, or causing mayhem during its active hours while the owner is trying to sleep. Another problem: these are arboreal animals. They want to be up in trees. These cages are hardly an adequate substitution for a tree. Plus, they live in family groups of up to 30, in the wild; they're very social. Most people do not have a dozen or more sugar gliders. Even sugarglider.com, a site for enthusiasts of the marsupial, is wary and horrified by the unregulated sugar glider pet trade. "Although we love these animals and do what we can to save their lives, they are not for everyone," writes a form poster on that site. We'd argue that they are for hardly anyone.